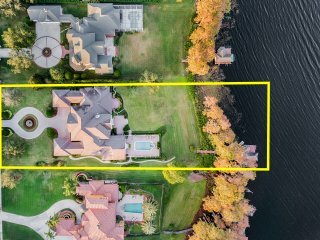 3 1/2 Acre LAKEFRONT ESTATE RESIDENCE ! 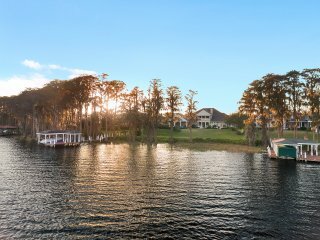 Your offer may buy this lakefront signature property ! 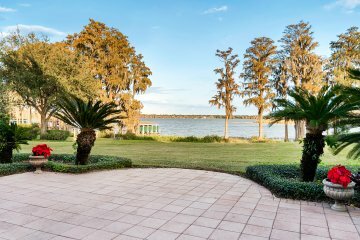 LAKEFRONT 3.5 AC. 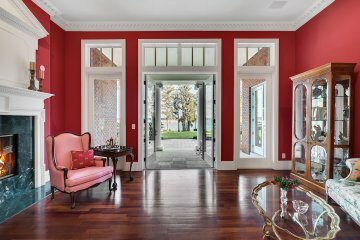 ON BUTLER CHAIN ! 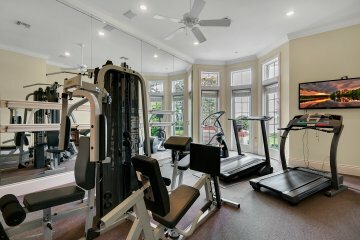 MAJOR PRICE ADJUSTMENT FOR PROMPT SALE! 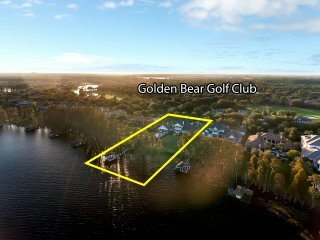 SELLER RELOCATED! 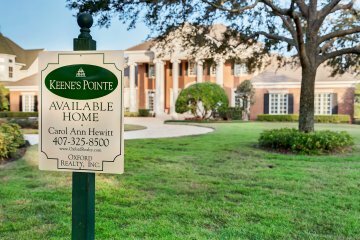 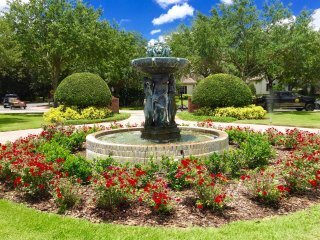 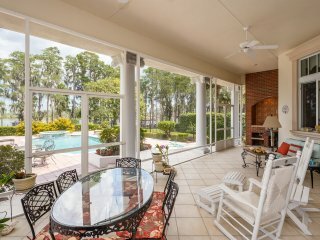 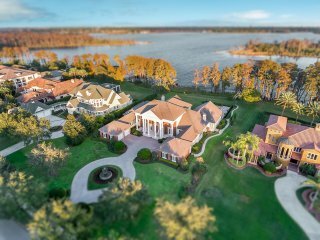 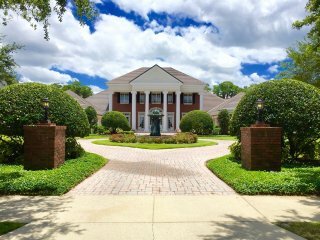 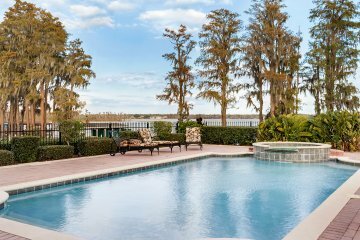 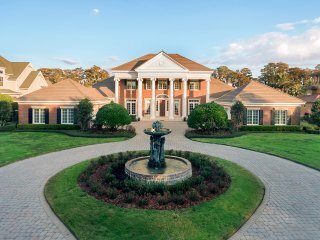 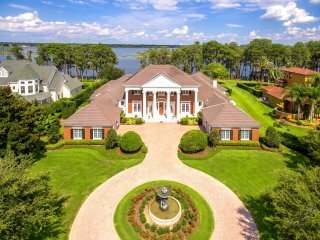 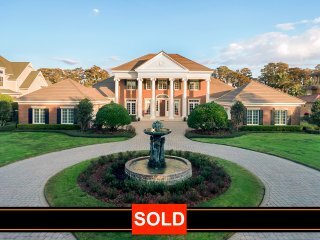 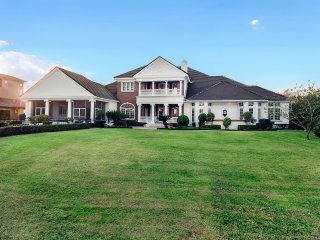 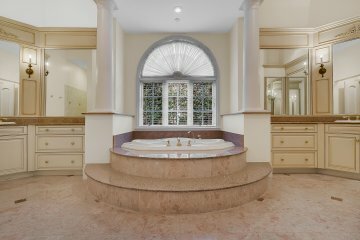 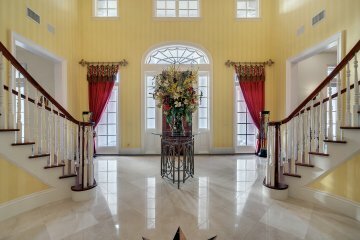 The signature property in Keenes Point, gated golf community boasts a sweeping circular drive with imported fountain leading to a magnificent interior crafted of the finest material. 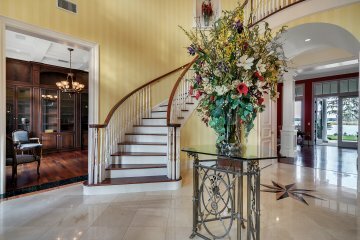 Upon entering the home you will experience graceful, impressive twin staircases ascending to two-story ceiling with imported chandelier! 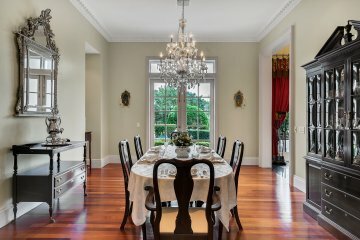 Straight ahead is a panoramic lake view through French doors in the formal Living Room, which open to a covered Terrace overlooking the sprawling grounds- perfect for outdoor events/parties! 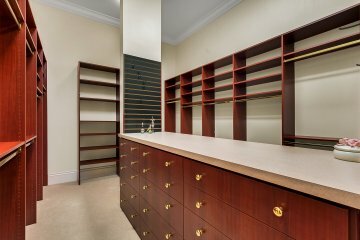 Timeless architecture, quality construction–looks new! 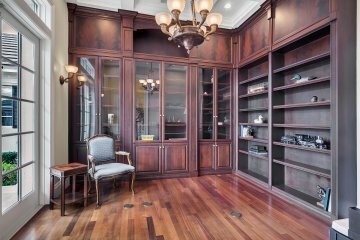 1st floor living areas boast 12’ ceilings, marble and wood floors, exquisite woodworking, banquet size Dining Room, Library, Office, Gym with TV, and grand lakefront Master Suite with twin wardrobe rooms and marble Bath, and a 21’ Catering Room. 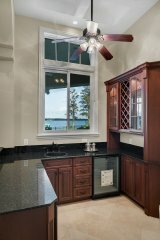 A grand Family Room boasts a handsome Bar, and undulating doors opening to a charming screened lakefront Porch with wet bar. 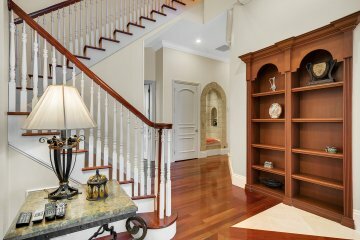 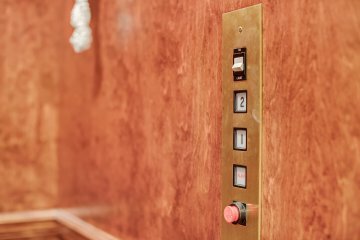 Rear staircase and Elevator lead to 2nd floor featuring secondary bedroom suites and Game/Play Room with lakefront balcony. 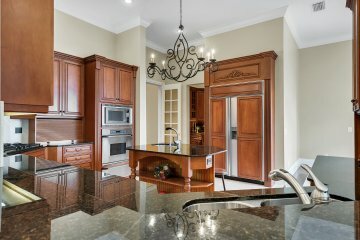 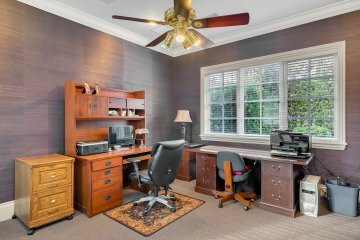 Custom built-original owner-with emphasis on energy efficiency! 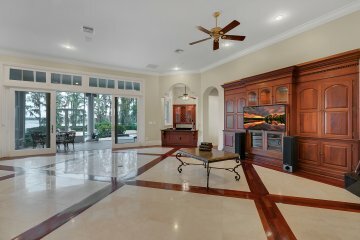 Sound system! 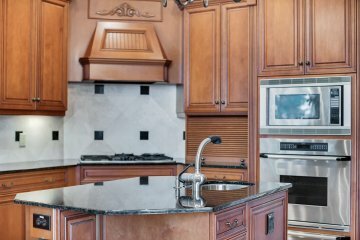 Electronic air filters! 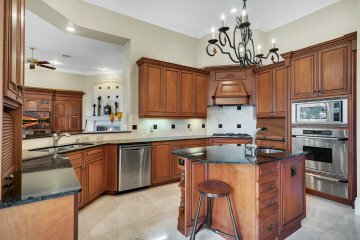 Brick construction for low maintenance! 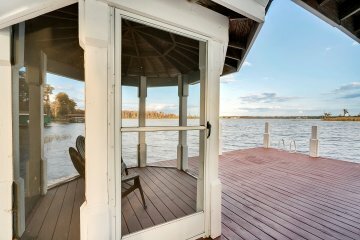 Enjoy beautiful sunsets from a screened lakefront Gazebo ! 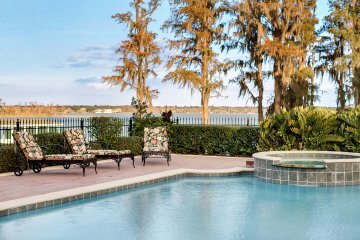 Heated Pool ! 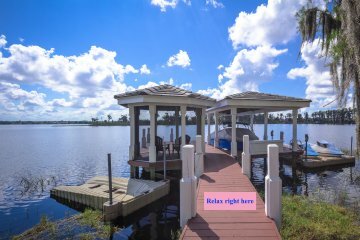 Boat House,electric lift & 3 jet ski ramps! 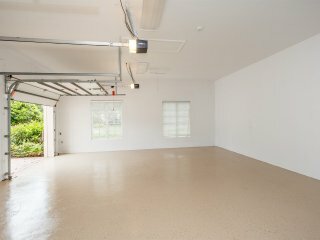 4 car Garage. 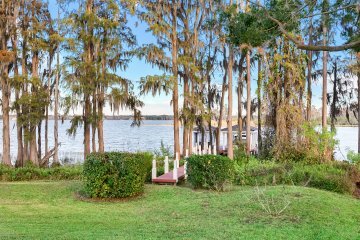 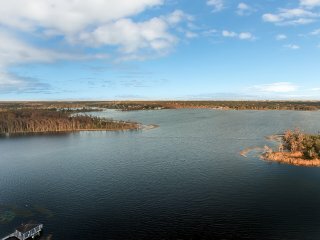 LOOKING FOR LAKEFRONT -THEN DON'T MISS THIS OPPORTUNITY - PRICED TO SELL! 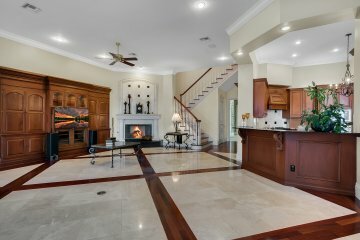 SEE VIRTUAL TOUR!